Mobile gaming on smartphones has become big business in recent times as the technology inside our handsets now allows some great titles to be played. 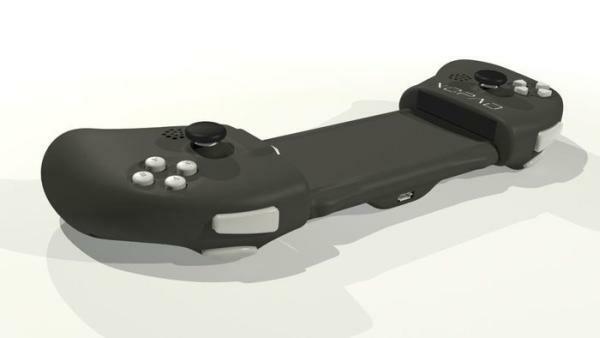 We are also seeing some accessories that make it easier to actually play these games, and that certainly can be said of the XOPAD controller for Android smartphones. Just last week we told you about the Android JXD-S7300 Gamepad2, but the XOPAD is the first open source USB game controller for the platform, which will allow gamers to charge their device while playing and much more. There is full control provided by the analogue joysticks, audio support, and the device can be resized to fit Android smartphones all the way up to the Samsung Galaxy Note 2. The firmware is upgradable as well as being open source that allows developers to enhance and change its features. The USB port allows data to be transferred as well as charge the battery on your smartphone, and being open source the end user has the freedom to choose the mode. To use the XOPAD your Android smartphone will need to support either AOA or On-The —Go modes whether using a custom ROM or the stock ROM. There are already a number of games supported such as Grand Theft Auto 3, Pac-Man, Jet Set Radio, Shadowgun, Zen Pinball, Dead Trigger, and many more. The XOPAD is another product that can be found over on the Kickstarter Project, and at the time of writing it has raised $2,518 out of a target of $110,000 with another 26 days still to go. For more information check out the video below or click here.